UPDATE: This poll has closed. Please click here to view the 2014 Disney Art Design winner. As we wrap up a week of special appearances from long-lost Disney friends for “Limited Time Magic” at Walt Disney World Resort, we’re now ready to share what’s next at Disney Parks. And this time, we’re looking for your help. Vote now, and let us know which of the three original 2014 designs is your favorite. The winning style will be revealed later this year and then featured on select limited edition merchandise within the new dated art program. 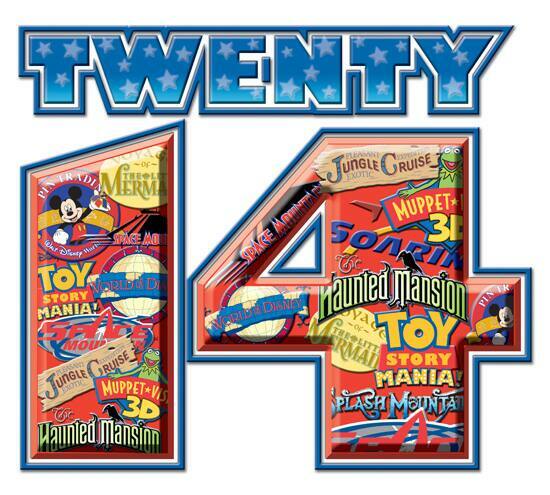 The merchandise will only be available at Walt Disney World Resort and Disneyland Resort throughout 2014. Make your decision today because, just like many of our “Limited Time Magic” experiences, the voting will be available for one week only, from January 25 – 31, 2013. 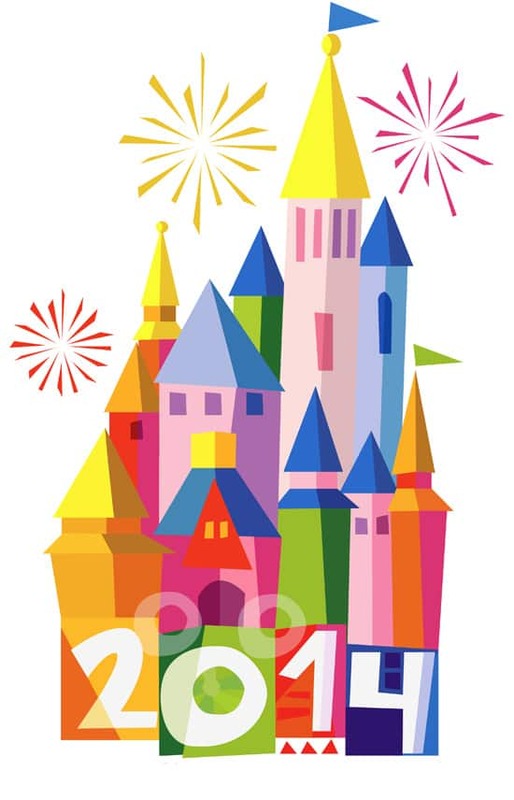 Option #1 – the colors, the icon of the castle and of course Mary Blair. I like option 2. I love the MM with the mickey and minnie designs and it’s clever and clean. If I had to pick a second choice, I would go for #1. It’s very Disney and cute but it seems like it has been done a lot! I liked #1 and #3, but #1 absolutely says Disney to me – the castle could be any of many of Disney’s iconic castles (Cinderella’s or Sleeping Beauty’s) and reminds me of the entry logo to “The Magical World of Disney” from my childhood, the colors call to mind rides like Its a Small World, the hidden Mickey & the fireworks — I hope to add a pin like that to my collection next year for sure! I really like both 1 and 3, but I think for merchandising purposes that #1 would work a lot better. I agree that there should be more options; none are that great, but I also feel that for t-shirts and such, the third option is the best for all ages/genders. It is different than anything done before either. The first one is too childish for all ages. of course option one anything with the castle people automatically know its disney, the others, you would figure out after looking at them but the castle just at a glance everyone knows who’s logo that is, no question. I voted for #2, but I see what Danielle, in post #31, means. There’s something a little “off” and I think it’s the repeating of “twenty fourteen”. I think its unnecessary. The MMXIV is all you need. Without the “twenty fourteen”, you kind of have to think about it and it makes it “stick” with you and your mind kind of play with it. Also love #1. 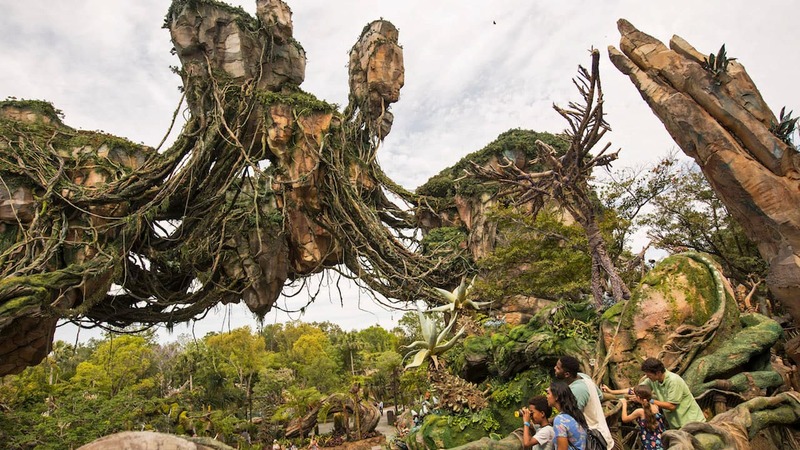 #3 is too busy as many have stated, and really, aren’t there enough iconic attractions not to have repeats? I really love Option 1!! (Same reasoning as most others – Mary Blair and the hidden mickey!) Option 3 seems a bit cluttered and awkward to me, and while I really like the roman numerals in Option 2, the “Twenty Fourteen” kind of threw me off. First,-THANK YOU for letting “US” PARTICIPATE in your design selection! As just 1 of the many self-proclaimed “Disney-Super-Fans”,-I thought this was fun & just awesome!!! I think one is the best. The other two are under whelming in my opinion. Option 1 — same reasoning–very Mary Blair. Love! If I had to pick a second one, it’d be #2. 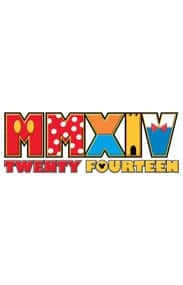 I like the cleverness of option 2 in which the Roman numerals represent the various iconic characters as well as layering the symbol MM for Mickey (or Minnie) Mouse. If I could vote for two options I would vote for #1 and #2. I don’t like that several of the logos repeat themselves in #3 across the 1 and 4; it also feels too crowded and flashy. Maybe having a squared-off logo with 2K 14 on top and bottom? Ultimately, however, I voted for #1 because I would most likely purchase a t-shirt or mug with this logo (which is of course a win-win for both me and Disney!). To be honest, I’m not that keen on any of them. I guess they coincide with the theme they choose for 2014. I’m sure when I see the design on items I will think differently and grow to like the designs more. I love option 1, it’s so Disney. Very colorful and pleasing to the eye. Option 2 and 3 are too busy for me. When I look at one I see Disney. LOVE IT. Initially I was drawn to #1, but after giving it some thought, and thinking that this may be the logo on clothing for both men/women, boys/girls, I chose #3. I love that it reflects all the best attractions at WDW, and is also gender-neutral. I think they are all amazing but I really love option 3! I love that it has images and icons of so many places in the park! I voted for #1 but have to say that I’m really disappointed because I will be in WDW during the week and won’t have a Limited Time Magic to “experience”. Although I guess this is Disney’s way of involving those that can’t make it to the parks, so that is a positive aspect. 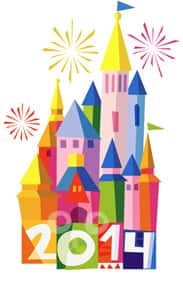 I voted for the Castle because it’s has fireworks that I love! Loved the fab five in Option 2 with the MM beginning but voted for Option 1. There is just so much joy in it! I voted for the first one, I don’t really like it all that much but it’s the best looking one out of the choices. A fourth choice would be nice. Mary Blair all the way. Beautiful work! The first option makes sense, since 2014 is the 50th anniversary of It’s A Small World. I hadn’t thought of it when I voted for Option 2. I love the first option! It reminds me of what the Castle would look like if you popped it right into the “it’s a small world” attraction! Love Mary Blair’s work! Is this the only announcement for Limited Time Magic this week? I thought there were suppose to be announcements for what was happening in the parks. Kind of disappointed. I’m voting for option 1. However, they’re all a little disappointing. I love option 2. Roman numerals are a natural with the MM at the start, and a total of five characters for 2014. Option 1 is Mary Blair-esque PERFECTION. Voted for 3, it represents all of the beloved attractions. 1 was very close in the running. so this is the only limited time Magic for WDW? Love #1! It’s just Disney. It’s been a long time since we’ve had a nice colorful design. I loved the Pink Castle on the 25 Year Anniversary shirt!! What Joyce said, because no one could probably explain it better. i picked the 1st option because i believe its the most solid. its got a harmonious color palette and pleasing freeform shapes (and a hidden mickey). 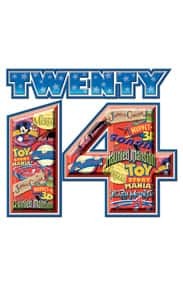 i like the thought behind the second, with the underused roman numeral lettering filled in with different mickey character swatches (thats always cute to see- love the cones of M&M’s they sell in the parks in respective donald/goofy/etc colours) but i dont think spelling out ‘twenty fourteen’ or having entirely brick lettering cuts a nice silhouette. that issue is shared with option 3, but i like how that one at least has very few and very huge letters which is more eye-catching. also the stickering of emblems in the 14 probably speaks to retro-travel or sports fans. the kerning seems a bit close though on the 14 part, seems like the 1 and 4 should either be directly joined or have a bit more space between them. but overall, i think the castle option – while maybe not the most original or trendiest design of the bunch – seems to be the best executed and will probably be the best received over a wide demographic. I love Option 1. Stylistically I notice a reference to Mary Blair, which just looks “disney” to me; the colors are happy – and I love the subtle Mickey ears over the zero!